Tribulus terrestris is a tropical vine common in sandy soil throughout India, Pakistan, and Sri Lanka. 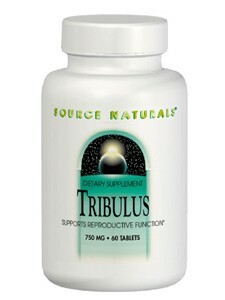 Source Naturals Tribulus Extract contains over 40% total saponins, the active components. This south Asian herb is popular for its potential role in supporting reproductive function. Tribulus extract can be used by both men and women. * Suitable for vegetarians. Other Ingredients: acacia gum, stearic acid, colloidal silicon dioxide, modified cellulose gum and magnesium stearate.